K. LACEY (E & D) LTD was founded in 1970 and was initially set up by husband and wife team Keith and Kathleen Lacey to provide design and engineering work. 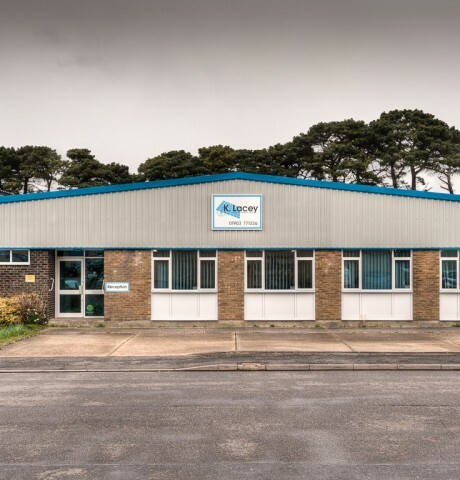 Keith Lacey soon found a gap in the market for cable supply within the Aerospace and Defence Industry which soon became and has remained the company’s core business. The business has been built up on service and stock availability which has always been a key component to its success. •OUR GOAL IS TO PROVIDE OUR CUSTOMERS WITH THE SERVICE THAT MEETS THEIR DEMANDS. •OUR TEAM IS COMMITTED TO ACHIEVING OUR GOALS. •BY WORKING TOGETHER AND BUILDING PARTNERSHIPS WE AIM TO PROVIDE 100% PERFORMANCE TO ALL OUR CUSTOMERS AND ACHIEVE THE SAME FROM OUR SUPPLY CHAIN IN ORDER FOR US TO CONTINUE AND GROW AS A LEADING DISTRIBUTOR OF HIGH PERFORMANCE WIRE AND CABLE.